continue our many years of business! NEWEST and LARGEST storage facility in north Houston County! 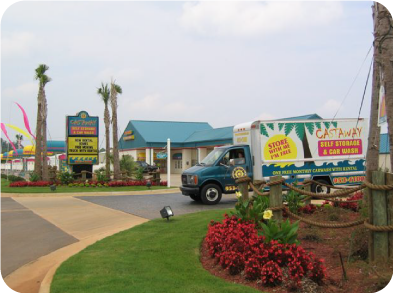 Sail on over to Castaway for all your storage needs! Individual Alarms On Each Unit Learn More! We accept Visa, Mastercard and cash for your convenience. Learn more!